Best YA: Unravel Me (Shatter Me, #2) by Tahereh Mafi – I’m a huge fan of Tahereh Mafi’s writing and the second book in the Shatter Me series did not disappoint. Best Fantasy: A Storm of Swords (A Song of Ice and Fire, #3) by George R. R. Martin – I have read four out of five currently published novels in this series and this third novel is my favorite thus far. So many jaw-dropping moments in this book and many emotional events that still linger in my mind. Best Historical Romance: Outlander (Outlander, #1) by Diana Gabaldon – This series has a truly amazing concept and so well written, I can’t wait to continue this series. Best Adult Paranormal Romance: Dragon Bound (Elder Races, #1) by Thea Harrison – I probably read the most books from this genre and in specific, dragon-related paranormal romances which can be a hit or a miss. 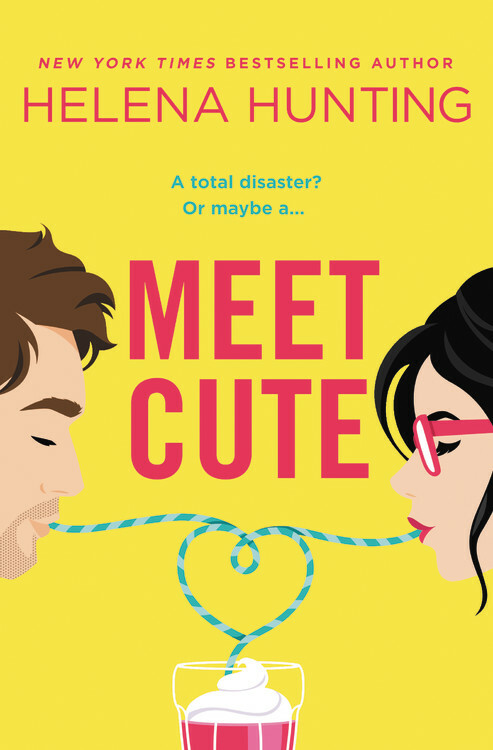 This first book in this series was definitely a hit! Best Science Fiction: Ender’s Game (The Ender Quintet, #1) by Orson Scott Card – I was so pleasantly surprised by this novel and though I am not certain I’ll continue this series, it was a most unexpected best for the year. Witches of East End (The Beauchamp Family, #1) by Melissa de la Cruz – I have been watching the Lifetime network television adaptation of this novel and I wanted to read the series it was based on. Though this book was not terrible, I had high hopes for it and it was a bit disappointing in the end. Ender’s Game (The Ender Quintet, #1) by Orson Scott Card – This novel was written in 1985 was I was surprised at how modern and how far beyond its time it was. Ender’s Game (The Ender Quintet, #1) by Orson Scott Card – This novel was adapted to a motion picture this year and I recommended it to any one I knew that is a science fiction fan. Elder Races by Thea Harrison – I thoroughly enjoyed this series and I am definitely a huge fan. Diana Gabaldon – Such an amazing author! Wounded by Jasinda Wilder – So many uncomfortable emotional situations happening in this novel, some of which were definitely outside of my normal reading comfort zone. Unravel Me (Shatter Me, #2) by Tahereh Mafi – I’m addicted to Tahereh Mafi’s prose and imagery! I think I highlighted 90% of this ebook. Outlander (Outlander, #1) by Diana Gabaldon – I must re-read this before the Starz television series based on this novel premiers. Jamie Fraser (Outlander by Diana Gabaldon) – “Ye werena the first lass I kissed,” he said softly. “But I swear you’ll be the last.” – I mean with that accent and lines that like how could he not be memorable?! Unravel Me (Shatter Me, #2) by Tahereh Mafi – Tahereh Mafi’s writing is like biting into a dark, rich, velvety slice of chocolate cake. A Storm of Swords (A Song of Ice and Fire, #3) by George R. R. Martin – It felt like almost every character I loved in this series died or was involved in some kind of unfortunate event. Unravel Me (Shatter Me, #2) by Tahereh Mafi – I read Shatter Me in 2011, it felt like I waited an ETERNITY until the second installment was released this year. A Storm of Swords (A Song of Ice and Fire, #3) by George R. R. Martin – I finished this novel before season three of the television series began and I had to keep all my feels to myself less I spoil the whole season for any of my friends. Two Words: Red Wedding. O. M. G.
Claire Randall and Jamie Fraser, Outlander (Outlander, #1) by Diana Gabaldon – This entire relationship was a bit difficult for me to accept but in the end it was Jamie’s charm and their passion that won me over. A Storm of Swords (A Song of Ice and Fire, #3) by George R. R. Martin – I had to continue this series, it’s too rich in writing and too intense not to! Outlander (Outlander, #1) by Diana Gabaldon – This was recommended to me by our very own Jess and I am grateful for the introduction to this powerful series. Paranormal Romance – This will most likely continue into 2014 but I would like to branch out more into other genres. Jamie Fraser, Outlander (Outlander, #1) by Diana Gabaldon – That accent, the red hair, the kilt and that charm… how could I resist? Hands down A Song of Ice and Fire series, the world-building and imagery in these novels are on par to Tolkien standards. The Mane Event (Pride, #1) by Shelly Laurenston – One of my favorite paranormal romance series is the Dragon Kin series by G. A. Aiken, this year I learned that G. A. Aiken also writes under the name Shelly Laurenston and found this series. Her style of writing is really humorous and fun and this book continued the humor I had seen in the Dragon Kin series. The Fault In Our Stars by John Green – From before I began reading this book I knew that heartbreak was inevitable but I was still not prepared for all the tears!! 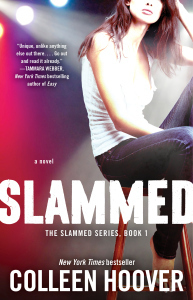 Slammed (Slammed #1) by Colleen Hoover – This is a self-published novel that I fell in love with, it was well-written and lead me on an emotional journey but felt that it wasn’t as popular as it should’ve been. A Dance With Dragons (A Song of Ice and Fire, #5) by George R. R. Martin – I’ve put off reading this book because of the author’s history of taking a very long breaks between novels and knew that once I finished it that I would be waiting a while for the next one. I have put this one off long enough and need to see what else is in store in this series. Isla and the Happily Ever After (Anna and the French Kiss, #3) by Stephanie Perkins – Feels like I’ve been waiting an eternity for the third installment in this series, I absolutely adored the first two and can’t wait to get my hands on this one. The Murder Complex (The Murder Complex #1) by Lindsay Cummings – The description to this book sounds intriguing and exhilarating, I am looking forward to stepping outside of my book box and cozying up with this thriller. Ignite Me (Shatter Me #3) by Tahereh Mafi – I cannot believe this series is coming to an end but I am so super stoked about reading the conclusion to this trilogy. I am also anxious to see what Tahereh Mafi’s next writing projects will be. Since I just started writing reviews this year in July, I’d like to increase my reviews in 2014 and get them on a consistent schedule. I’d also like to review some books that I have in my collection that I have not had a chance to get around to reading. I’d like to branch out and review different types of novels not just new releases or those that are trending within the book blogging community. Also, not really directly related to the blog, but I’d like to attend more bookish events. I don’t feel I do this enough. 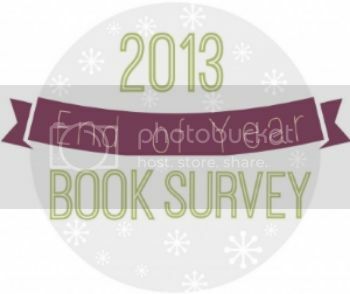 2018 End Of Year Book Survey! Guest Post: The Fury’s Alexander Gordon Smith on Music and Writing + Giveaway! I’m currently reading Outlander. And Jamie is a great choice for best swoon/relationship moments. Loved seeing him show up so much on this list. Alpha male but still sweet. And that quote you posted! Sigh. Hehehe…great list. Shatter Me is on my TBR list soon. Diana Gabaldon is one of my favorite authors ever! I’ve been reading her novels for years now and yes, Claire Randall & Jamie Fraser are an awesome couple… I’d pick him too for fictional crush!! :O Thank for that awesome tip! I will definitely check that out, I’d love to have at least one signed copy of her books!! I love how many times you listed Outlander! I’ve just started An Echo in the Bone in audiobook and I just can’t get enough of that world!